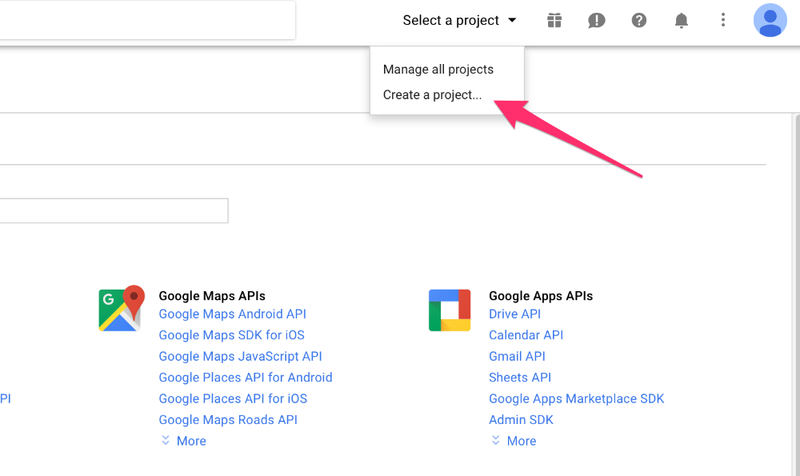 Once your project has been created select it from the project list at the top of the screen. From the dashboard select "Enable APIs and Services". 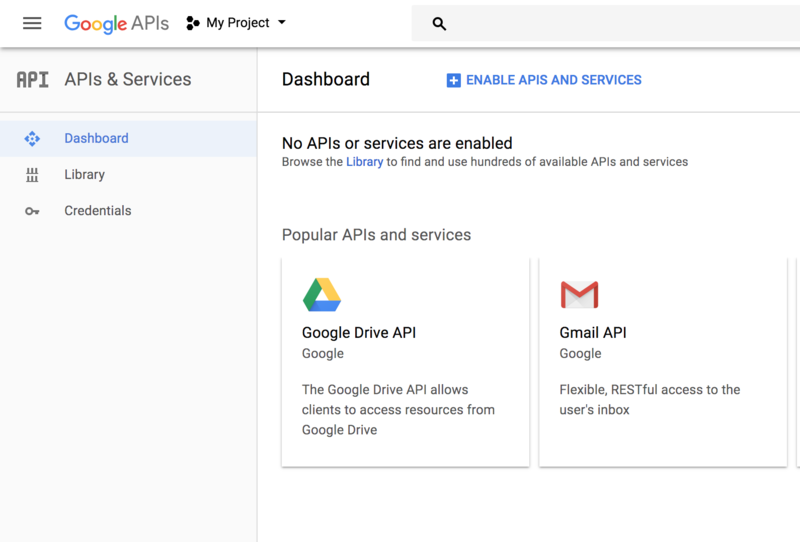 Then search for the following 4 separate API services. For each of those click "Enable"
Back on your project dashboard click the "Credentials" tab. 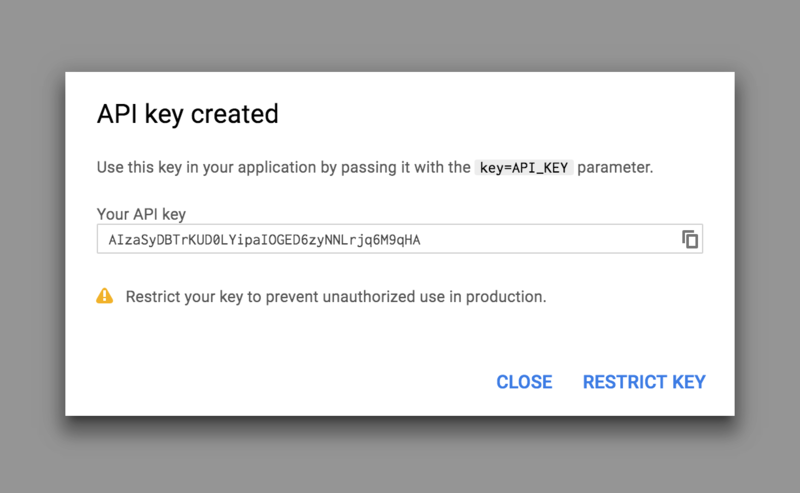 Click "Create Credentials" and choose " API Key". Copy the key into your website under Customize ▸ Jobs ▸ Map Settings as well as Job Listings ▸ Settings ▸ General.